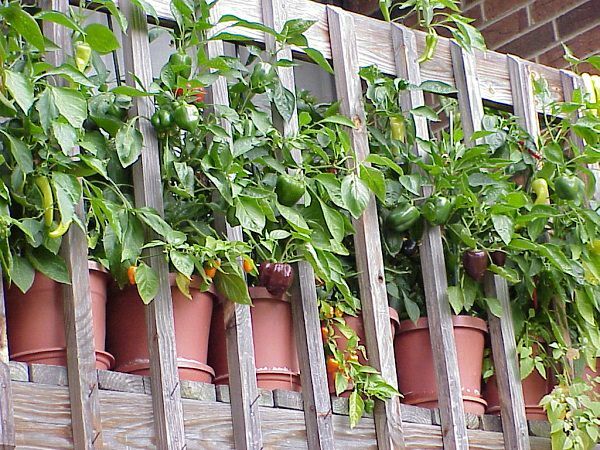 Container vegetable gardening allows you to cultivate edibles in limited space and in this article you’ll find out easy container vegetables that you can grow on your balcony or rooftop garden. Most of the beans are climbers and really easy to grow. 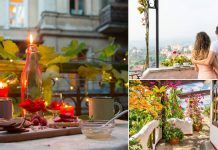 You can grow them on your balcony or rooftop garden near a wall and within weeks, you will get a green wall of a climber running up through soft tendrils over the trellis. 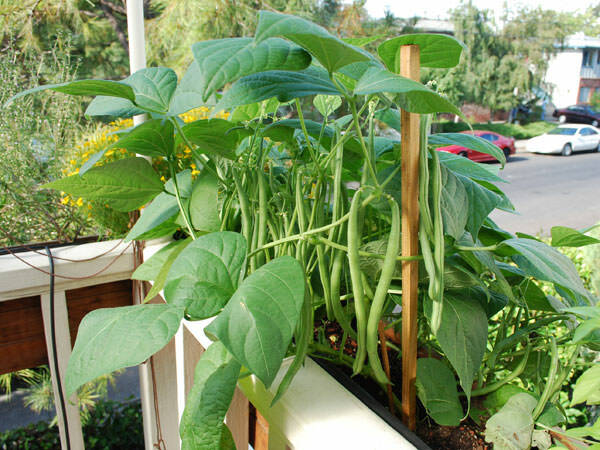 For growing beans you will need a spot that receives the sun in abundance, a pot that is minimum 12 inches deep and a trellis like structure for support. Since beans fix the nitrogen most of the vegetables that require more nitrogen are good to grow with them. If you’re growing beans in a very large pot you can grow summer savory, kale, spinach and celery in the base. Learn about more leafy greens you can grow in containers here. Without a doubt, tomatoes are easiest to grow. If you receive ample sun (at least 5-6 hours), you can grow tomatoes. For this, choose a large pot that is at least 12 inches deep. On a limited space, growing dwarf varieties of determinate type are best. You could also try cherry tomatoes for higher yield. 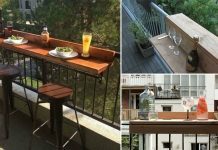 Read our article on growing tomatoes on a balcony. 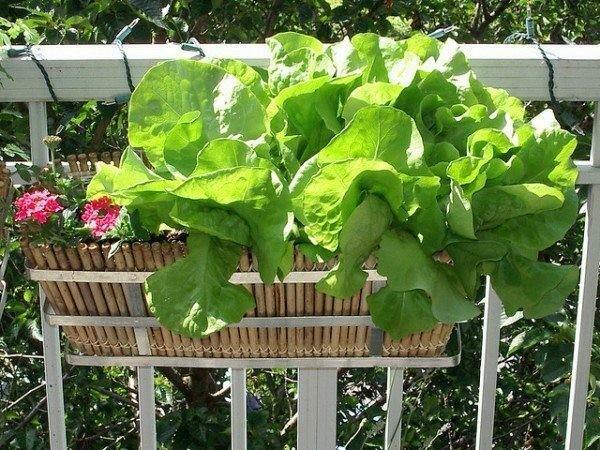 Growing lettuce in pots is easy. It grows up quickly and you will have the opportunity to harvest repeatedly. Lettuce is a cool season crop and you have to decide what is the right time for its growth according to your climate, usually, seeds are started in spring. But if you live in a warm climate, grow lettuce in winter. For growing lettuce, choose a wide planter rather than deep (6″ deep is enough). Leave space of 4-7 inches between each plant. Remember, leaf lettuces can be grown more closely than head lettuces. Use well draining soil and do shallow and frequent watering to keep the soil slightly moist always. 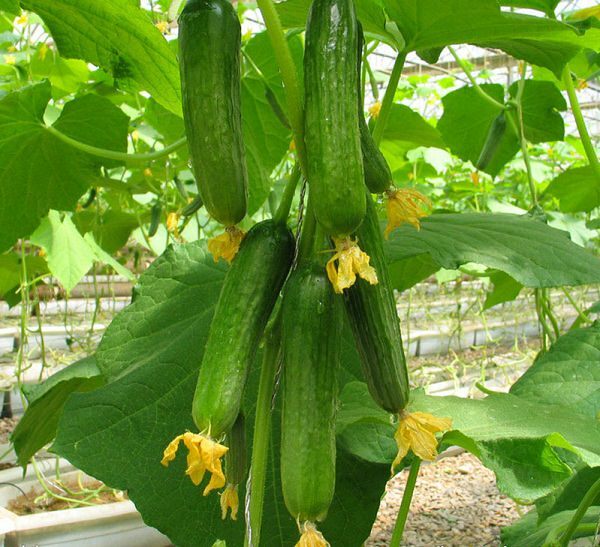 Cucumbers are one of the easy container vegetables though they require regular watering, full sun, warm temperature, and fertilizer. If you have some space, instead of growing dwarf and bushier varieties grow tall, climbing varieties for higher yield. You can grow these varieties on a trellis in a large container in barely 1-2 sqft. of space. To know more about growing cucumbers vertically read our post. After tomatoes, peppers and chilies are easiest to grow in containers and they are most productive too. If you keep the pot in a sunny spot and provide right soil and fertilizer at the time, this vegetable will fruit prolifically. The Large and deep pot that is minimum 12 inches deep is optimum. Pepper plants are susceptible to pests. You will have to keep an eye on aphids. Sow the seeds of carrot varieties that are short instead of standard ones as they require more room to grow their roots. Choose containers that are deep enough to provide room to roots. 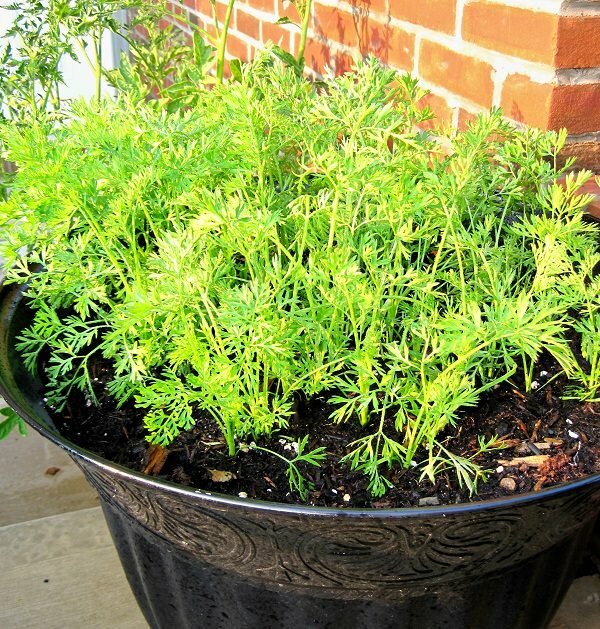 Carrots are easy to grow in pots if you choose a right variety. Keep the plants in full sun to partial sun and water them regularly to keep the soil slightly moist, avoid overwatering. Also, carrots are susceptible to mildew so don’t wet the foliage. Radishes are one of the quickest growing vegetables and suitable for container vegetable gardening as you can also grow them in small pots. A planter that is 6 inches deep is enough but if you are growing larger varieties, use 10 inches deep pot. 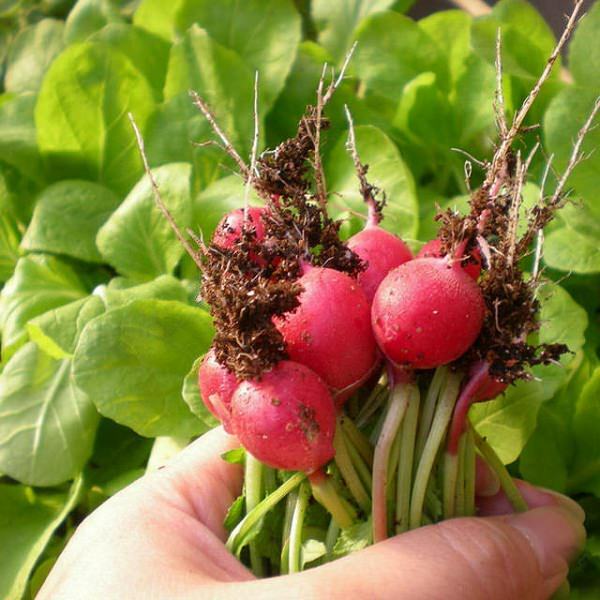 You can plant radishes closely, allow 2 inches of space between each plant in a wide container. Radishes are ready for the harvest in 24-60 days, depending on the variety. You can learn everything about radish care in containers here. Peas require moist soil and cool to moderate weather to thrive. All varieties are suitable for container gardening but dwarf bushier varieties are better. A pot that is 6-12 inches deep is enough (depending on the variety). You can grow 4-6 plants in a 12 inches wide container. 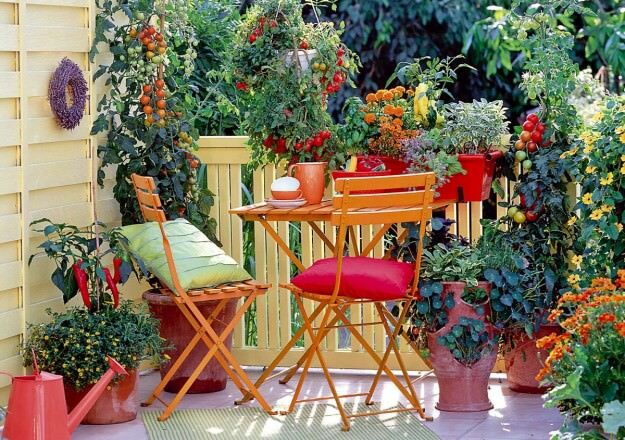 Keep the potted plants in the partial sun if reach to full sunlight is not possible. 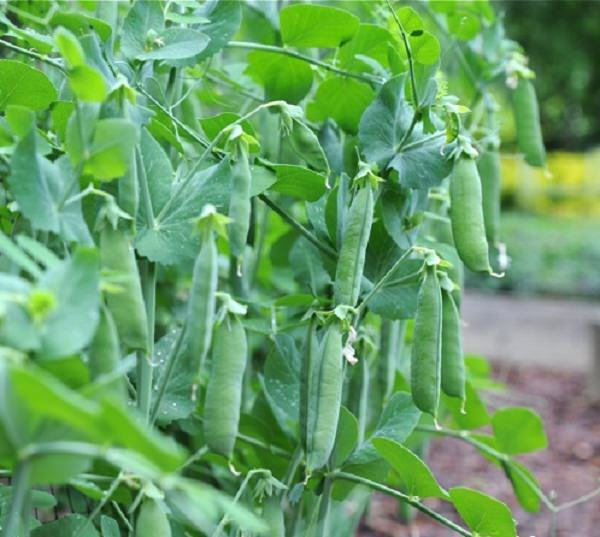 Must check out our article to learn every detail about growing peas. Most of the vegetables grow fairly easy in standard 5-gallon size pot. 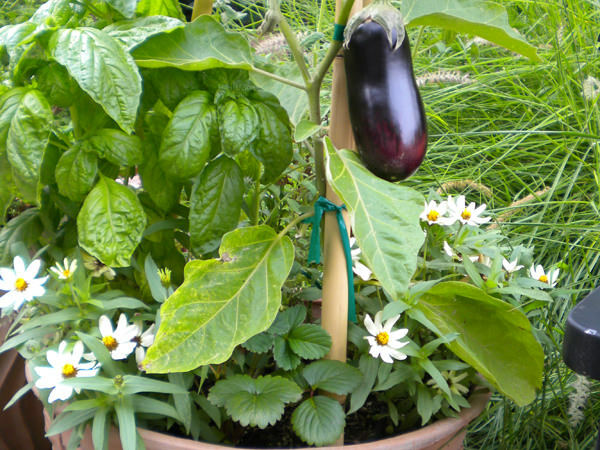 For growing eggplant, choose a 12 inches deep and wide pot to provide sufficient space. Eggplant is a very productive vegetable and fruits heavily if you provide it at least 6-8 hours of direct sun daily. Also, it is a heavy feeder like tomatoes, thus requires regular fertilizing. You have to provide support to plant by means of staking or caging. Simply poke a stick in the pot to help the plant when it starts to look lean. Must read our eggplant growing guide here. 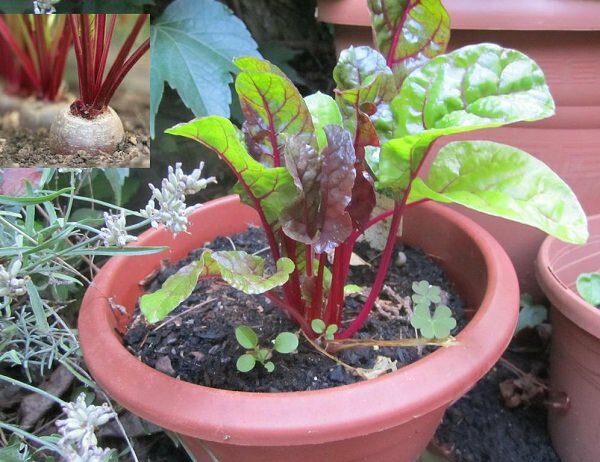 Growing beetroots in containers on a balcony or terrace is easy. It is a fast growing crop and you don’t need a large container for planting it. A medium sized container that is 8-10 inches deep is sufficient. The soil you use must be permeable and rich in compost. Learn to grow beets here. Do mulching, it also helps in container vegetable gardening, especially in the warm weather. Mulch the surface of your potted vegetables with organic matter. It will reduce the process of evaporation and after the decomposition, the organic mulch will provide nutrition to plants. i am really inspired and would like to learn gowing fruits and vegetables on the roof of my house.i have already placed an order for big pots. as i am going to do it for the first time so i need guidance.i wish someone help me in getting seeds etc and will let me know how to do it. I’ve got some wonderful kale in pots on my balcony and I did try cucumbers. But the cuc’s are incredibly thirsty and to be honest, I felt like it’s slave! Constant watering which isn’t easy to do on an apartment balcony when you’re hauling water from the kitchen sink. 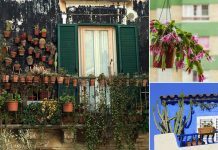 I truly enjoyed all container gardening ideas and beautiful photos, which l will use this summer. Will post photos when my plants produce their yummy yield. Looking forward to utilize your great ideas.